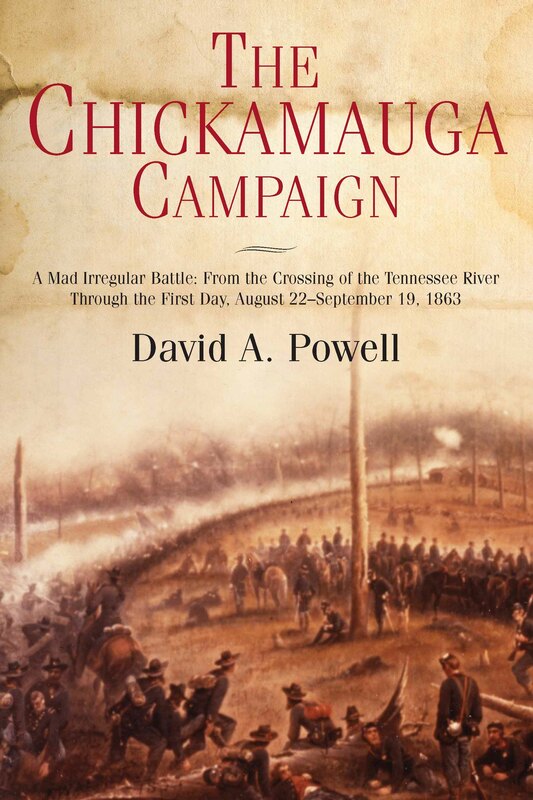 Savas Beatie has just published the long-awaited first volume of a new trilogy on the battle of Chickamauga, written by our own Dave Powell. The Chickamauga Campaign, Vol. I: A Mad Irregular Battle provides an in-depth examination of both the pre-battle maneuvering and the first and second days’ fighting of the battle of Chickamauga on September 18 and 19, 1863. The culmination of more than a decade’s worth of research and study, A Mad Irregular Battle explores both Union Major General William Starke Rosecrans’s ambitious 1863 effort to wrest the strategic city of Chattanooga away from Confederate control, and Rebel General Braxton Bragg’s counter-blows, which finally brought about the deadly collision along the banks of West Chickamauga Creek. One focus of the book highlights the importance of the preliminary action on September 18, often overshadowed by the far bloodier engagement on the 19th, in foiling Bragg’s aggressive timetable and planning. A full discussion of September 19 is not neglected, however, as Powell details the battle’s ebb and flow as never before. Twenty-eight maps support the narrative, as well as numerous images of the battlefield and the men who fought there. Vol. II of The Chickamauga Campaign: Glory or the Grave, is scheduled for release in the first half of 2015. It will bring the action up to the close of the fighting on September 20. The final volume (working title: Barren Victory) will examine the campaign’s ramifications, the many controversies produced, and the human costs of this, the second-largest battle of the American Civil War. This entry was posted in Books & Authors, Emerging Civil War, Western Theater and tagged Barren Victory, Chickamauga, Dave Powell, Glory or the Grave, Mad Irregular Battle, Savas Beatie. Bookmark the permalink.